Once the chanterelles are soft and thoroughly fried/cooked, remove the pan from the heat. 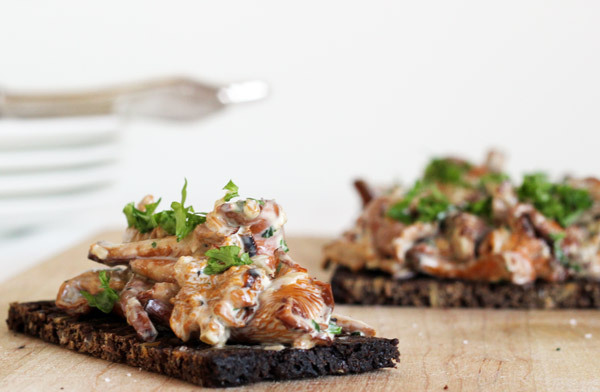 Place the creamed chanterelles on slices of cut bread. garnish with additional salt and finely chopped parsley on top - serve immediately. This sounds absolutely delicious – can’t wait to try it!